ORDER HERE and make sure the number 14980191 appears in both the “Enroller” and “Sponsor ID” fields. 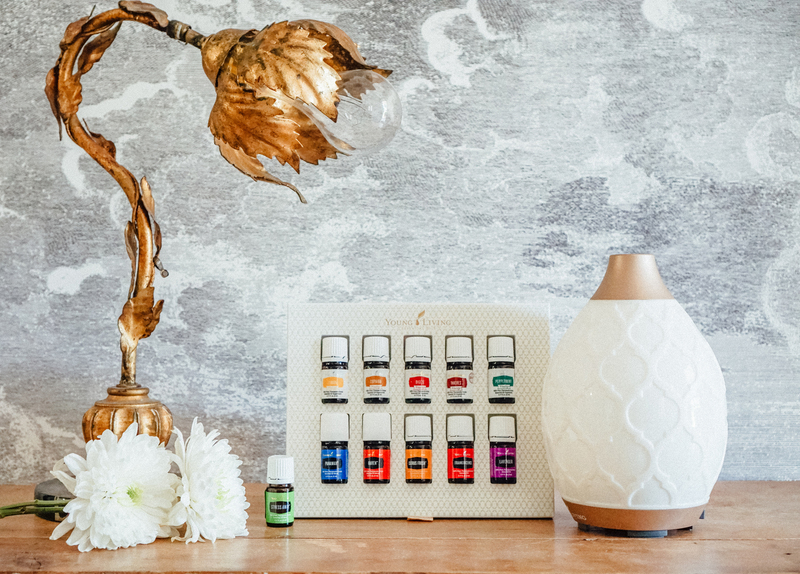 Sign up as a Member- this does not mean you have to sell oils, it just means you are getting a starter kit and will get a lifetime 24% off retail prices. Set up your monthly Essential Rewards order. This is a great way to order those things that are on your wishlist outside of the starter kit. I order all of my household cleaners, oils, and some of my makeup using Essential Rewards each month! Once you sign up, you’ll get a welcome email from me with lots of good resources and information, along with a little gift in the mail to help you get started (cough cough, super cute brushed gold and white rollers), so keep you eye out on your inbox and mailbox! I’ll also add you to my exclusive facebook group for my entire community to learn, share, and support one another while we’re using oils. We are truly like one big happy family- we offer weekly classes, tons of resources, have monthly calls, and so much more. I will be here with you every step of the way to teach, encourage, and support you in any way I can. Let’s do it together!